The successor to last year's Honor 8 arrives later this week and is a marked improvement in more ways than one. The Honor 9's launch also marks the debut of the Huawei Pay mobile payment system, Huawei's answer to Samsung and LG's offerings. 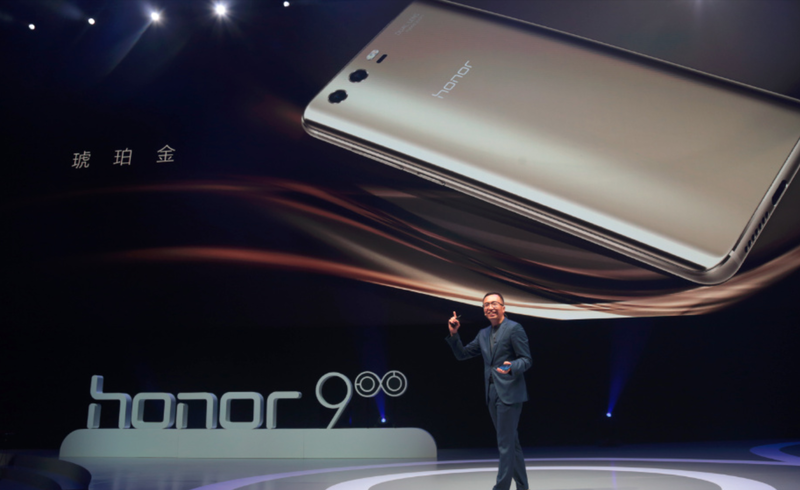 Huawei's Honor sub-brand has lifted the veil off the Honor 9, its newest smartphone. Successor to the well-received Honor 8, this year's iteration is an upgrade on nearly every aspect of last year's device. Huawei's inclusion of NFC (a given with most every phone today) in the Honor 9 is noteworthy mainly because of Huawei Pay, the company's new mobile payment solution, which uses the feature to enable contactless payments. Additional Honor 9 features include 802.11ac Wi-Fi and, yes, a 3.5mm headphone jack. Where and when can you get the Honor 9? you may be asking. Unfortunately, Huawei currently only has plans for a China release. The phone will be available there on June 16, at about CNY 2,700 for the 64 GB model and CNY 3,000 for the 128 GB version (that's about US $400 and $440, respectively). The Honor 9 may be headed to Europe shortly afterwards, but Huawei has not commented on a US release yet.